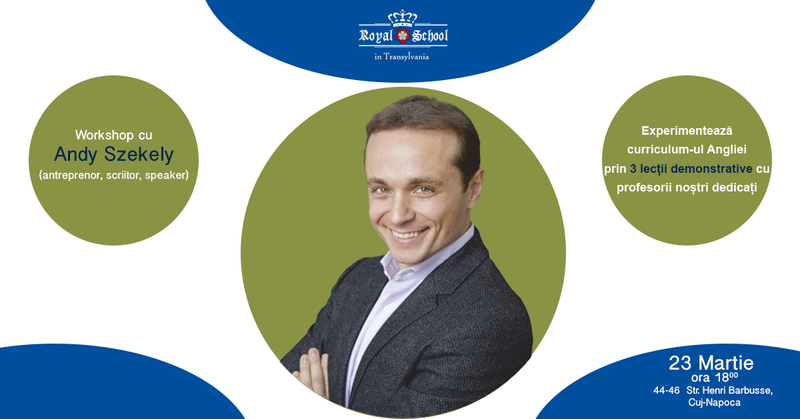 Choose to be student at Royal School! Workshop for the parents who wants to grow their children with passion by knowledge. Do you want to accord to your kid a different education, by giving the chance to reveal his passions? Register to our workshop and let yourself be inspired by Andy Szekely, entrepreneur, writer and speaker. (1 hour). Through your participation at the event, your kid could benefit of 1 day Free at Royal School in the limit of available seats in classes. For register, please complete the following form https://goo.gl/2bsEnQ until 21 March 2017. The seats are limited and the entry is free.